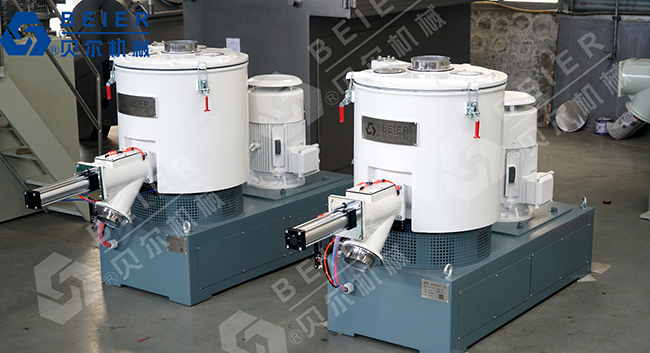 Welcome to BEIER machinery!PVC compounding mixer,high speed mixer machine,heater cooler mixer,PVC automatic mixing feeding system high quality PVC automatic compounding and feeding system suppliers and manufacturers. SHR series mixer are mainly used for mixing,colouring,drying and etc,in plastics,rubber,food-stuff .daily chemical industry and so on. SHR series mixer adopt advanced design and can be operated easily.safely and reliably.They have small size,light,weight high efficiency,low energy consumption and low noise.It is an ideal choice for you to buy such devices.